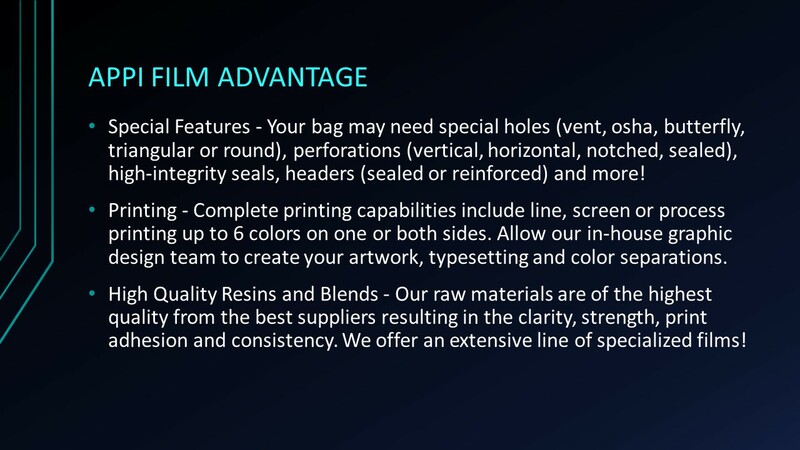 Custom Bags - Our Specialty! 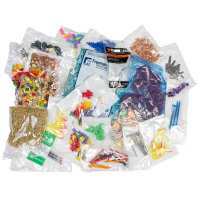 Advanced Poly-Packaging can be your one-stop-shop for poly bags! All Pantone colors available and also custom colors using solvent based inks. Scuff resistant coatings/ varnishes to reduce scuffing or rubbing off of inks in shipment. Up to six colors on both sides of the bag. Printing of flood coats and screens, including ascending and blended screens. EVA FILM provides a very effective barrier against oxygen, nitrogen, carbon dioxide, & helium. Applies to laminators. Superior oxygen barriers, optical properties, and flat film caliper. Additional Film Data Sheets are available in the Documents tab under the "Film Data Sheets" category. HIGH BARRIER is a strong film with moisture, chemical, and aroma barrier. Applies to silverware, coffee, chocolate, migrating chemicals, and aroma emitting products. Excellent impact strength, good clarity, good barrier, and long shelf life. VCI Film is non-greasy VCI, strong film. Applies to rust corrosion inhibitor, bearings, fasteners, and firearms. Long shelf life, clean, and dry. 100% BIODEGRADABLE maintains strength and durability of regular films. Applies to all "green" applications. Fully biodegradable to satisfy "green" initiatives. CAST POLYPROPYLENE FILM has outstanding clarity, strength, brittle/crisp high gloss. Applies to candy, wreaths, retail products, FDA, medical, and novelty items. Excellent clarity, stronger seals, printable, low haze, and high gloss. WHITE/GRAY MAILER FILM meets USPS material requirements. Applies to United States Postal Service Mail Pouches. Used on automatic bagging equipment. Film Data Sheets are available in the Documents tab under the "Film Data Sheets" category. 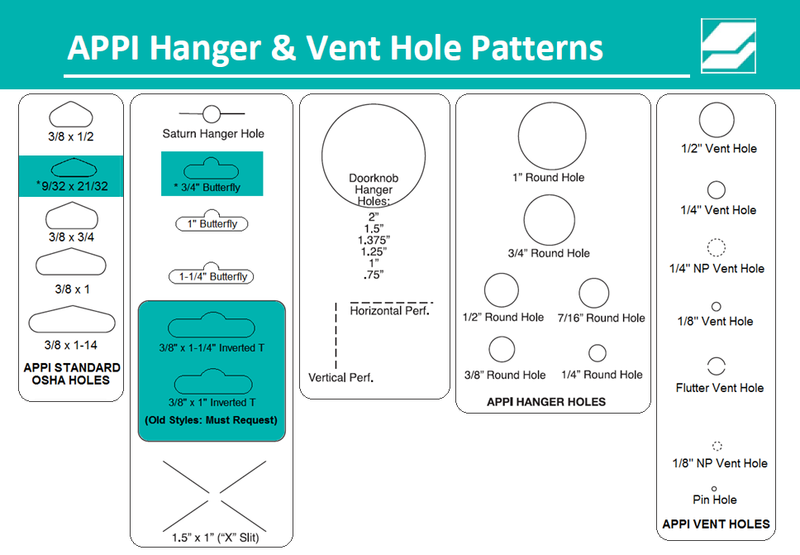 HIGH DENSITY HDPE is stiff, strong film, higher haze levels, and natural high slip surface. Applies to non scratch products such as silverware, lenses, or non-coated plastic, FDA, and medical. ANTISTAT FILM is clean/dry (non-greasy). Clarity dependent upon concentration level. Applies to dust control, static control, electronic components, dusting products, sand, and filler materials.